Continuum was essentially the first set of plug-ins I ever used, starting with Avid, continuing with Final Cut and then Premiere. That flexibility itself makes you comfortable editing with the project on any system. I love the pre-set effects that come up with certain "looks" then allow you to revise and make them your own. The ridiculously quick render times make working under the gun - while making your work look terrific - a breeze. I can't tell you how many compliments I get on my work - 75% of it uses Boris in one way or another. While the company has been great at enhancing their product, the introduction of competitive plug-ins and Premiere-friendly templates have been luring me away at times. The Title tool - which essentially took over for the defunct Boris Red program - is nowhere near as intuitive and user-friendly. They need to start coming up with some text fly-ins and other graphic transitions that are just plug and play. As I said earlier, Continuum makes it so easy to work fast and make your work look great. The cost / benefit ratio is way in Boris' favor. In my business I need to get things turned around in a few hours. Boris is an essential way in which I do that. "Fantastic Studio Editing Analysis For Latest Plug-Ins"
We use Continuum on almost a daily basis for extensive blue & green analysis, VR plug in developments, and to edit tiles (such as icons and logos). It makes our websites more attractive to the eye, this attracting more customers. Some of the start up commands are confusing pertaining to the upload process. Also, some of the functions freeze or are non responsive, and ocasionally lead to the application crashing. Not a huge issue with auto save, though. Boris FX has rolled out a (fairly) new photo, video, VR, and multimedia platform, that mainly is best for use when you use it for editing and analysis. 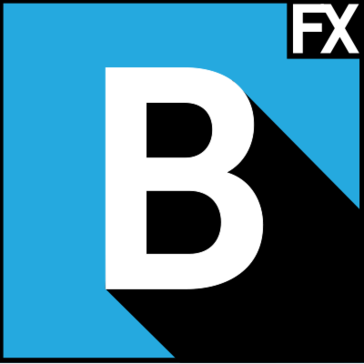 As a business, Continuum/Boris FX has helped us expedite media editing and allowed us to review efficiency with their anaylsis tools. Continuum is a very good proactive and reliable software. It helps every day not just our company as a main user but customers of ours as well. The only thing I dislike a little bit is that sometimes some processes are not easy or friendly enough. Basically IT support in a proactive way instead of being reactive to the issues customers have. The ability to deploy patches to our machines on a schedule is excellent! The overall visual design could use some updating. We are able to manage our client devices remotely, as well as use remote tools to troubleshoot without going onsite. * We monitor all Continuum reviews to prevent fraudulent reviews and keep review quality high. We do not post reviews by company employees or direct competitors. Validated reviews require the user to submit a screenshot of the product containing their user ID, in order to verify a user is an actual user of the product.